Bring in the season by adding some great citrus flavors to your chicken and shrimp. Savory is usually the default for summer grilling, maybe a sweet BBQ sauce here and there, but the tang of citrus usually falls by the wayside. 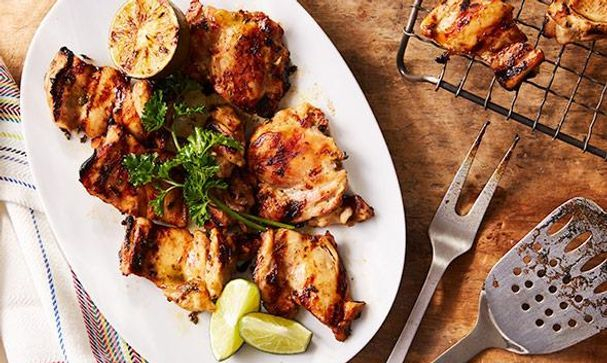 So here are two great citrus options – for both chicken and shrimp – for surprising your palette with a little lime and orange flavor. And we’ve added a third shrimp-grilling recipe at the end, if neither of the first two citrus options are your thing. Tip: If you don’t have a food processor, a hand blender works. If you don’t have a hand blender, just chop up the cilantro and whisk it all together.